I sincerely hope that someone can help me out here. 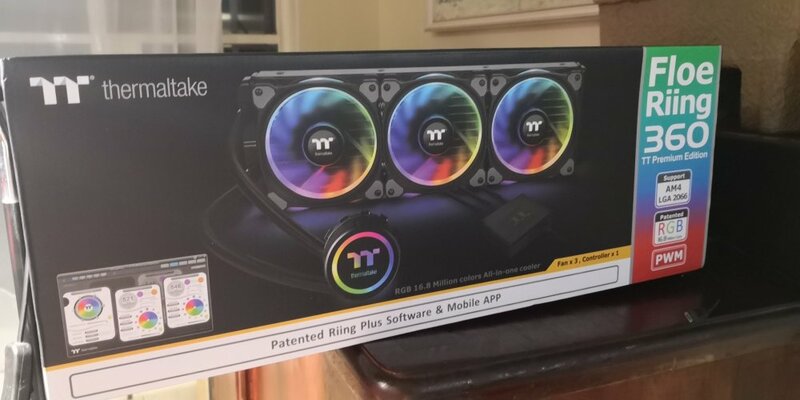 I bought the TT floe riing 360 and the TT riing 12 3 pack radiator fans. I followed the instructions to the T as I did not want anything to go wrong. 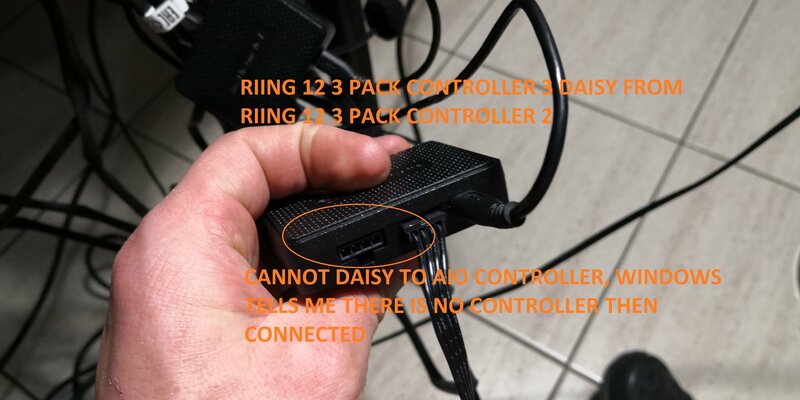 But at first I thought i did something wrong when I could not get the other controllers working. 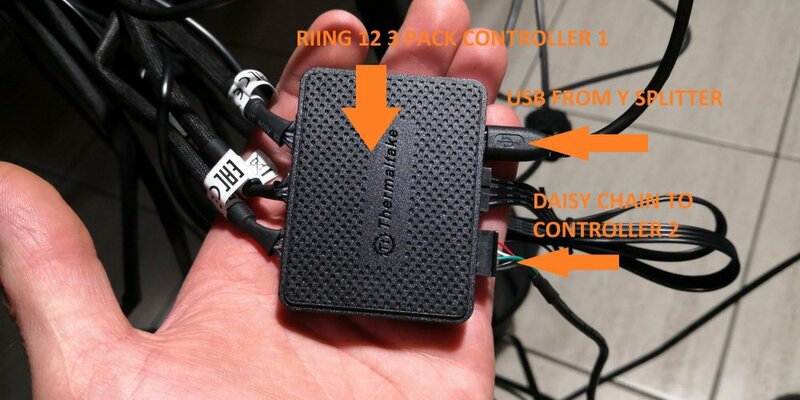 The usb Y splitter runs from the board to two controllers, the floe riing controller and one of the riing 12 fans controller then the other controller is connected through daisy chain. 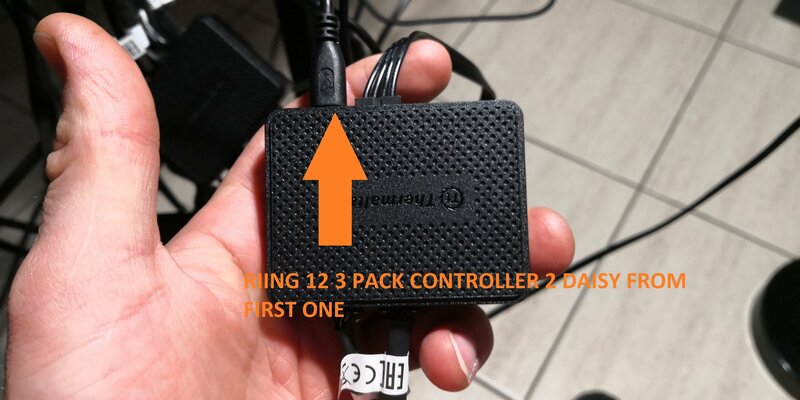 Each controller has their own power from the PSU. 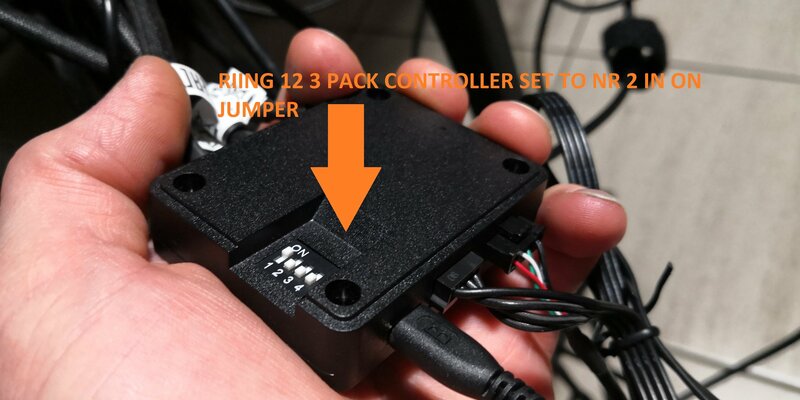 Each has been allocated a different jumper setting as said in the manual and online tutorials. 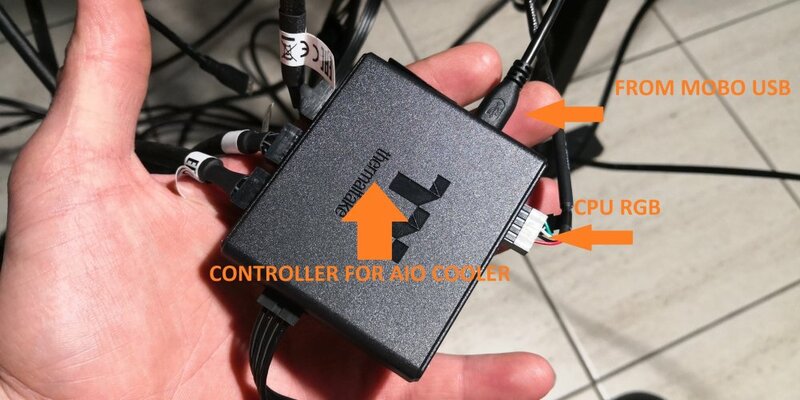 When in this configurations the only controller that picks up in windows is the floe riing AIO cooler controller. There is a error that comes up every time but I suspect that this is normal even without the other controllers. 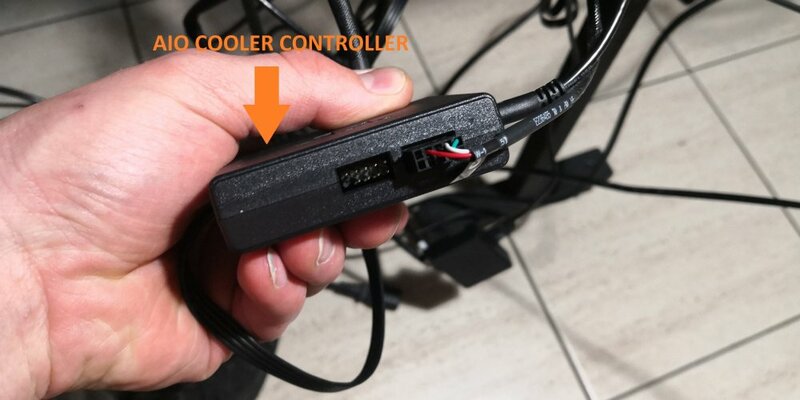 If I remove the floe riing AIO cooler controller and only connect the riing 12 fans controllers, I get the error saying there is nothing connected and I need to check the controller connection. 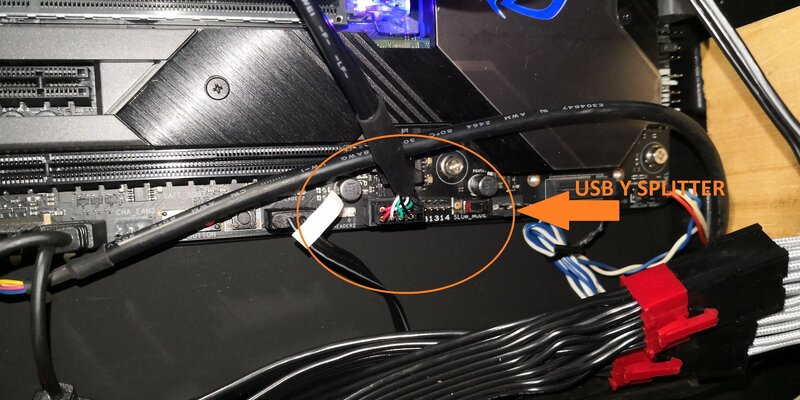 I have tried with both controllers in different jumper settings and different cables, from usb 2 and usb 3 and different versions of software on 2 different computers with the same outcome. 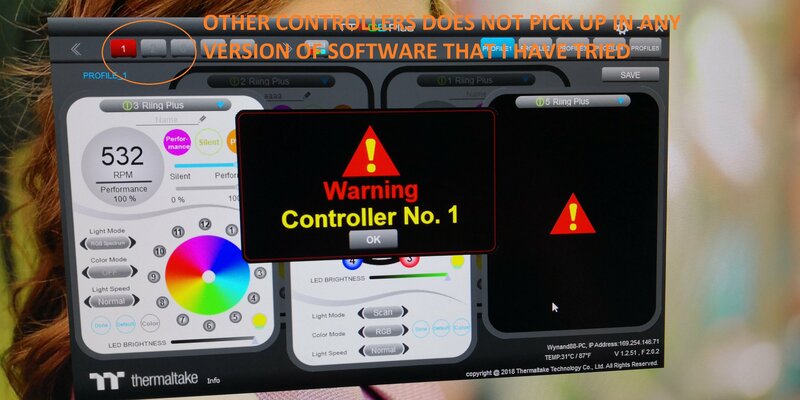 The software does not see the controllers at all. But they get power through the controller, so they surely cannot be broken? 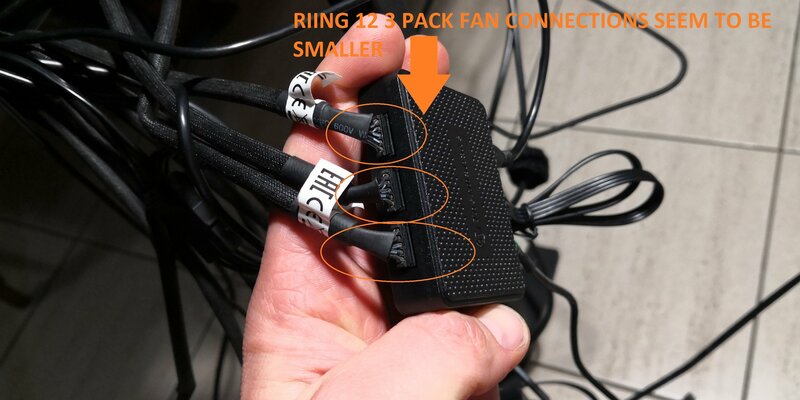 The fan connections of the AIO cooler and riing 12 fans are different sizes, so I cannot test the one on the other to see if there is something wrong with the fans themselves. 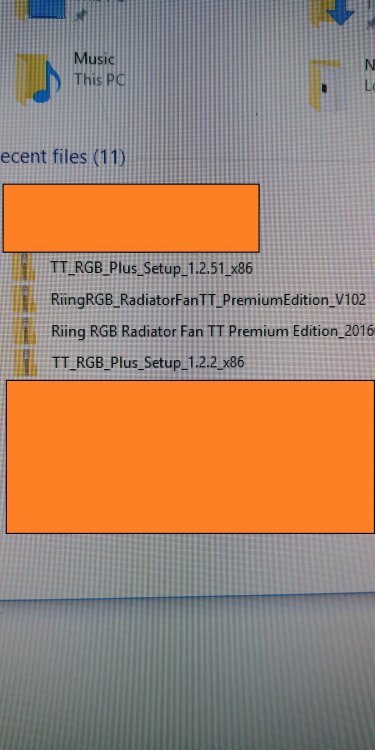 Another thing that is weird is the default colors the fans choose. 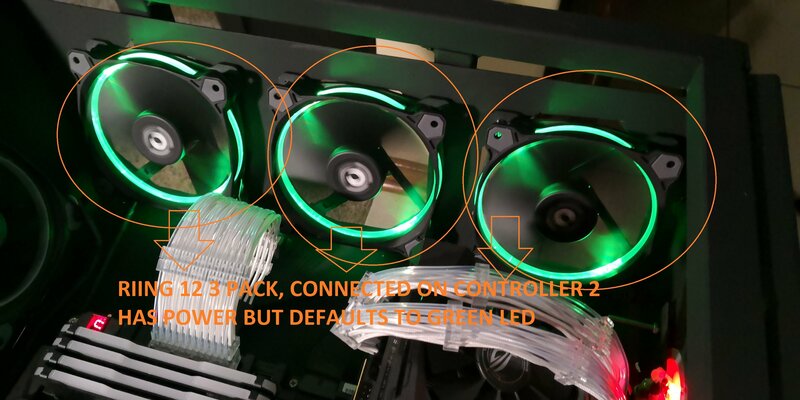 Controller 2 with 3 fans default color goes to green whereas controller 3 with 2 fans connected goes to red? 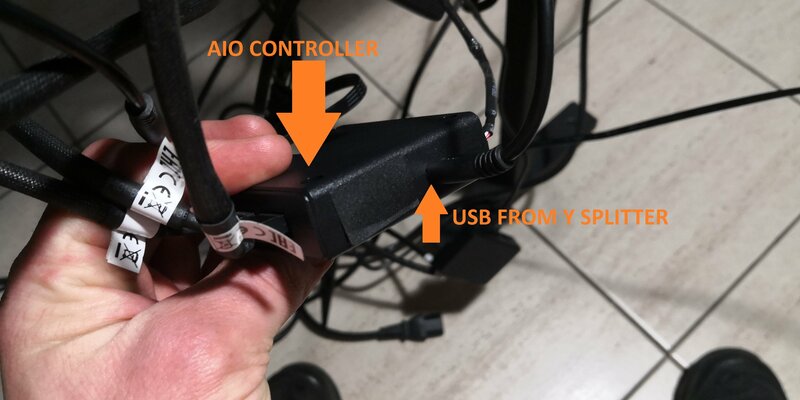 I have a suspicion that the two products are not compatible, I am not entirely sure if this is the case and i really hope it is not the issue. 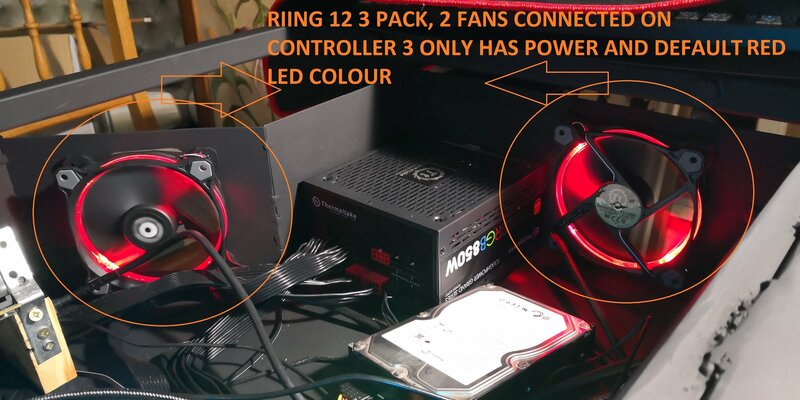 As shown in the video, the only lighting effects are only on the AIO floe riing cooler and fans. If I was unclear on anything, please do not hesitate to ask to further explain. I do hope that someone will be able to help me sort this out since this will be the biggest build I have ever done. 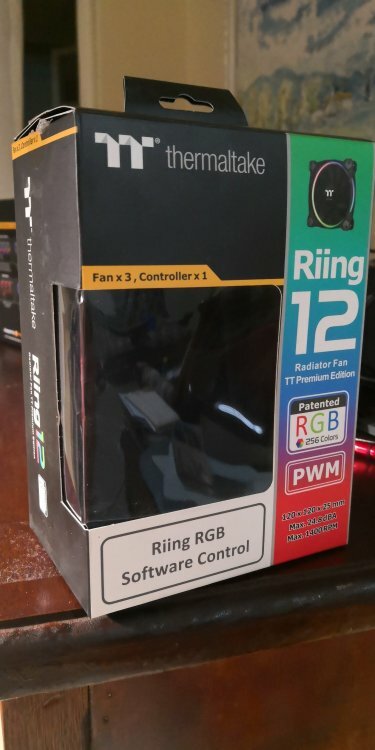 I believe the regular Riing fans use a different version of the software. 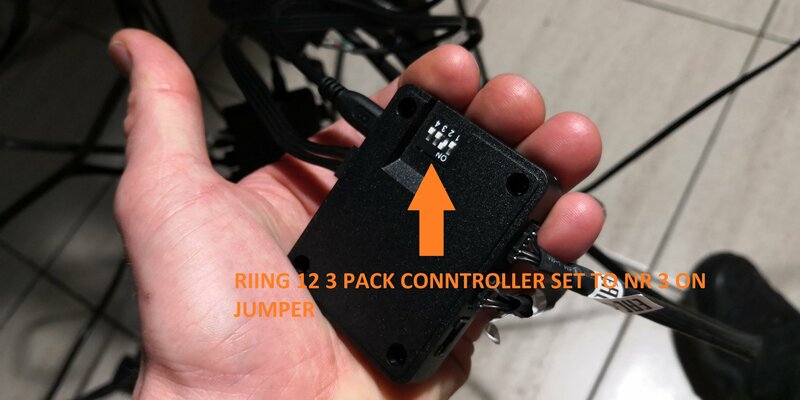 They also don't have individually addressable LEDs like those included in your cooler, thus making them not compatible in the sense that you won't be able to synchronize the lights together in the software. I would recommend you send back the Riing fans and purchase a 3 pack of the Riing Plus fans, as that is the type of fan that came with the cooler. Thank you for the advice, I will be taking the products to TVR sometime. Maybe you can assist me with something else. 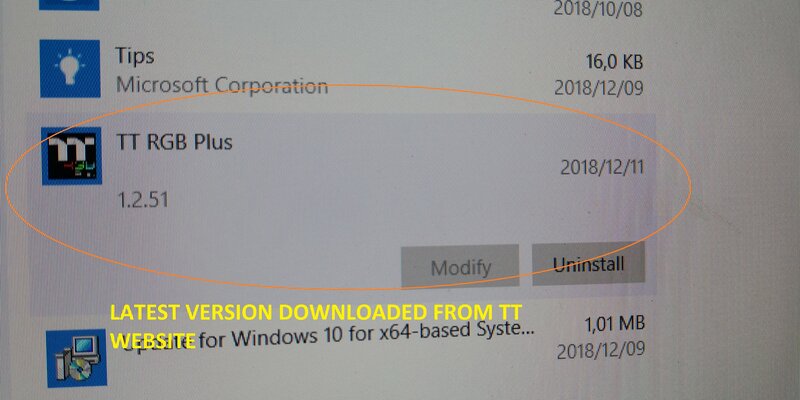 Do you think that if I change it to the following product I will not have a compatibility issue? Let me know if you can open the link as I do not know if this link will work internationally. We have already asked the relevant customer service to contact you and will help you solve the product problem. Thanks for your report. Yes. The second link is for fans that are the same type that came with your AIO cooler. 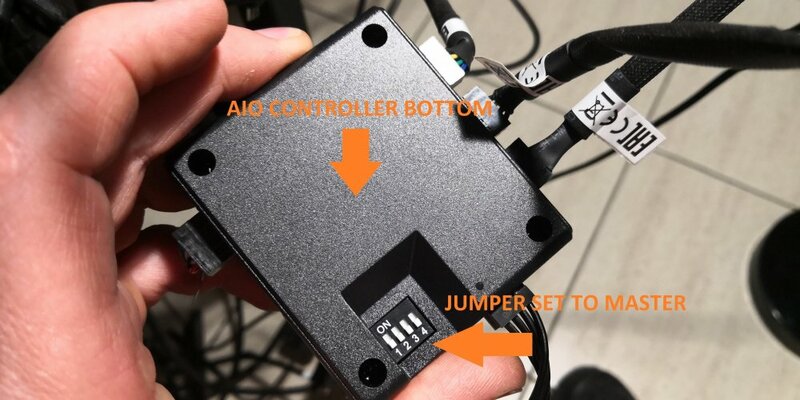 They will match aesthetically and will also have the same type of 5 port controller. You will then be able to control both of them inside Thermaltake's software.